“Our school is correct, but it may be wrong; the school of those who disagree with us is wrong, but it may be right.” – Islamic Juristic aphorism (quoted in The Story of the Qur’an by Ingrid Mattson. P.207). The quote above captures the general attitude among Islamic legal scholars, when it comes to legal issues. While the Qur’an is considered the word of God and its epistemological truth certain, the way it is interpreted is varied and even among scholars, there is consensus that this diversity of opinion is valid, as long as it doesn’t go against the intentions of the Shari’ah (maqasid e Shariah) which are: to establish justice, order and flourishing of society. While there are some nation-states such as Saudi Arabia that deploy only one (narrow) interpretation of Shari’ah, in much of the world, this plurality of interpretation is understood, acknowledged and respected as the norm. The Saudi method of Shari’ah interpretation and implementation, that is often very strict, owing to a rather literalist interpretation, rooted in Wahhabi Islam may be the exception, rather than the norm. I argue here that what is missing in the media portrayal of Brunei’s adoption of Shari’ah is simply this: There is not just ONE way to interpret and apply Shar’iah laws (translates as ‘the way’) but multiple. And it is not necessarily all about amputation and stoning to death. As much as CNN would like to portray it as such, there is much more nuance and complexity to this debate, than is presented to lay audience. The noise needs to give way to genuine discussion and understanding of Islamic legal norms that are often not understood, even by well-meaning activists and ‘educated’ liberals. Every few weeks, there is a news headline about the ‘dangers of implementing Shari’ah’ or ‘creeping shariah’ in the U.S. While much of the rhetoric about the ‘dangers’ are crafted by those who have little or absolute no knowledge of Islam or Islamic jurisprudence, what is even more shocking is the amount of ink-space that these news items that this gathers, thanks to ill-informed and extremist loud-mouths. The leader of Boko Haram and the Brunei issue are but two instances, in the past week. While the former is a criminal, who is using any excuse to bolster his claims, the latter seems to be a political move, though I do not have a total understanding of why the country is moving in the direction that it is. While I am not attempting to defend the move of Brunei’s leader -that is an altogether different discussion- I am simply arguing for greater nuance to be applied to the discourse of Islamic law. While this issue demands that several books be written about it, and of course, there are many that exist, the key fact is that within the mainstream Islamic schools of jurisprudence – four in Sunni Islam: Shafii, Hanafi, Maliki and Hambali and about three main schools in Shii Islam, there is vast plurality of interpretation about all aspects of how the divine law enshrined in the Qur’an is to be interpreted. Universal Human Rights and Shari’ah – can the twain meet? Abdullahi An’naim, of Emory Law School and one of the foremost scholars of Islamic law in the world has written extensively about Islamic law and its intersection with international human rights laws. The gist of his arguments is that any serious engagement with human rights laws should take into consideration the religious norms that are in place in any society. To ignore or to dismiss them is to not be sensitive to the organizing frameworks prevalent in that society. Especially in the former colonies of Africa and Asia, where the wounds of colonialism are still too fresh, these sensitivities should inform this debate. Also, one must keep in mind that the notion of separation of state and religion is a post-enlightenment ideal that has been realized only in Europe, and partly in the U.S., with great difficulty and centuries of struggle. There are instances where religion has actively helped promote civil society and greater social cohesion. This fact must also not be dismissed, in our rush to remove all facets of religion from the public sphere. Here is an interesting discussion between An’naim and Talal Asad, a world-renowned scholar, who teaches at the CUNY Graduate School and who has focused on developing an ‘Anthropology of the Secular.’ Asad says that “One has to be careful in investing too many of our hopes on the rights discourse, as it is addressed to and linked necessarily to a regime of law, which is invested in the state. The modern states and its allies such as international corporations, are not to be trusted and use human rights for their own purposes.” For this reason, Asad says he is suspicious of the rights discourse. With a rhetoric of universality, it is vested in the state’s agenda – and serves either national or economic interests. This claim to universality is linked to a reality of particularity and one should be more aware of, he argues. Also, the question of power relations in the international arena is key, he says. 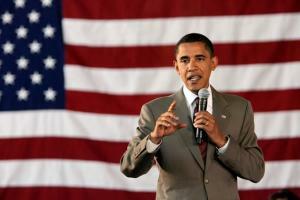 “Who would dare bring the U.S. for its violation of rights?. It is the way that rights are invested in power-politics, on a regular basis, he adds. “Deprivatization of religion process depends on how religion becomes public. If it furthers democracy, as it did in Poland or promotes debate around liberal values, then it is entirely consistent with modernization,” says Talal Asad in Formations of the Secular. Taking a cue from this, it seems that for Asad, the situation of modernity is not problematic, in so far as it is willing to embrace various versions of secularism and also makes space for religion in a manner which does not radically shift or distort societal balances. Asad further says that everybody in the world, educated or uneducated has a sense of right and wrong and legal capacity, and inalienable human rights. It is possible for religious principles to come to politics. Using the example of the lobby system, Asad argues that it is difficult to separate out legislature from these special interests. “The state has to define what is religion, in order to protect it. The state has to define what is to be protected, so to that part, it cannot be separated out. Historically, this has shifted in the way things have shifted what is essentially religious,” Asad contends. Intolerance from the state disturbs both scholars. “The idea of separating political authority with spirituality raises certain questions and requires further elaboration. The possibility of re-thinking Shari’ah is important and I am in agreement with An’naim and this is happening in various parts of the Middle East.” Pointing to the example of abolition of slavery in the Muslim world, Asad says that Shari’ah has been re-thought. There are principles of Shari’ah that may contradict equality, but there is a lot that is consistent with the principles of human rights, Asad points out. This is similar to what Ingrid Mattson has argued in her book The Story of the Qur’an that our search for the true meaning of the Qur’an and its application to our lives cannot be too narrow and rooted only in one school of thought or tradition. “Only a truly open-minded, critical engagement with the diverse schools of thought and approaches to the Qur’an will be sufficient to claim the exercise of due diligence.” (p.231). She warns of the dangers of parochialism in outlook and life, as being barriers to our true understanding of life and the meaning of what the Qur’an is telling us. Which Shariah and for whom? Abdullahi Ani’naim is more vocal about the incompatibility of Shari’ah and modern legal systems. He has called for a ‘Secular’ state in all Muslim countries and has hence run into greater intellectual challenges, while Asad does not see a conflict between Religious norms and political values. One could say that An’naim is more influenced by the enlightenment understanding and liberal notions of ‘freedom’. As he says: “Who is the human in human rights,” is an important starting point. The self-determining self is at the core of the definition of humanity, argues An’naim. For An’naim, it is a people centered idea, and there should be no need for us to depend on the state to defend human rights. The self-determination of the human is key. “It is humans who make the state do what they want. It is the people who run the state and are subjects who make it or fail to do what it does.” This means that practically, we can change our legal, political systems, with activism and effort. On the other hand, Asad seems more optimistic that there need not be this negation of religious values. In the aforementioned discussion, Asad says “ One has to pay attention to what is going on in the Muslim world, where people are struggling for greater openings, spaces and should not be labelled ‘Islamists’ and those committed to political order. It is unfair that all of us learn from experience, but Islamists don’t.” So, this projection of negativity that often happens in media discourse as well as (some) scholars who write about political Islam being necessarily a backward project is harmful and not conducive to looking at the transformative possibilities that exist, even if it comes from quarters that we don’t like to deal with or engage. The Muslim Brotherhood’s political activism is a case in point. Finally, it may make sense to end with a topic I started this discussion, i.e., Brunei. The official stance of the government is mentioned on their website, which states: “The implementation of Islamic laws is not unprecedented in the country. It was ever carried out during the Islamic glory days a few centuries ago, but was halted with the presence of foreign powers which reduced the strength and effectiveness of Islamic legislation. It is thereby hoped that the implementation of this order would be able to restore the status of Islamic legislation in the country, such that it befits Brunei Darussalam’s stature as a nation that practices the Malay Islamic Monarchy concept, a historic Nation of Zikir shaped by the more-than five centuries of Malay Islamic Monarchy.” So, while each country has its sovereign right to implement the laws that fit its social conditions and needs, and as long as it abides by (most), if not all, Universal Principles of Human Rights – then it should be ok. The particularities of the laws should be discussed, debated and negotiated, rather than making blanket statements about ‘barbaric’ Shari’ah and the like, which are not only ignorant, but also deeply offensive to people who hold their religion and way of life very dear. And more importantly, the gaps, inconsistencies in every legal system should be kept in mind too, before one criticizes Shari’ah that is as complex as any other legal system, perhaps more so, given the global reach of Islam and the way laws are interpreted around the world. A final word of caution: We need more thinking, scholarly understanding and reasoned arguments, not noise, that distracts us from the real issues at hand. What can Wall Street learn from Islamic banks? Over the past two weeks ago, I attended the annual meeting of the Association of American Geographers in Tampa, FL and also presented at the Global Donors Forum, organized by the World Congress of Muslim Philanthropists in Washington D.C. While these two events brought together very different groups of scholars and practitioners, the panels on philanthropy had very similar people, interested in issues of global finance, cash flows, equity, social justice. I will focus on just a few ideas from scholars who are researching and working in this field, that is growing in importance and has, according to the researchers, the potential to address some of the structural issues that our current global system is ignoring. 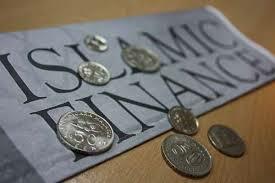 What can Islamic finance models offer to the ‘mainstream’ world of finance ? This may seem like a difficult question to ask, much less answer, given the hysteria around anything Islamic and the purported negative influence of Islamic ideas in our world. For the sake of this discussion, I will not deal with the critiques of any political dimensions of Islam or its aspects of Islamic financing that have come under the scanner, due to post 9/11 securitization discourse. I will deal with that in another article, at a later date. This piece deals primarily with how the West is understanding Islamic finance and what lessons, if any, it can offer to the global capitalist system. In a book titled Islam and the Moral Economy (2006) Charles Tripp argues that Muslim scholars have devised strategies deal with capitalism, while remaining true to their faith. While there are those who have resorted to confronting the global capitalist system, a majority have aspired to innovation and ingenuity in search for a compromise and interaction with global capitalism. This is evident, from Wall Street to the Arab Street. Similarly, Lena Rethel (2011) has argued that the search for legitimacy among Islamic financial institutions has forced them to look for greater adoption of the Western norms of governance, knowledge structures making it reproduce the existing global financial order. This, despite of the efforts of these institutions to create a more equitable financial and economic order, based on the Qur’an and Sunnah (traditions of the Prophet Muhammad). Dean of School of Advanced International Studies ( SAIS) Vali Nasr makes the case for looking at the intersections of Islamic piety with capitalism in the ‘Middle class’ Muslims around the world. In his book Forces of Fortune (2009) he says: “The United States has been supporting economic reform and business initiatives in the Muslim world, but with too much emphasis on working with the government planners and top-business elite. Change will not come from this upper crust – it has too much invested in the status quo and depends too heavily on the state. It is business with a small “b” that should hold our attention.” (p.12). While there has been a discourse of treating American Muslims as somewhat ‘exceptional,’ by virtue of being more diverse, economically more better off than the rest of the world, I would argue that at the level of practice of faith in day-to-day life, and in particular, that of charitable giving, these the parallels between American Muslims and those in the rest of the world are striking. While his emphasis on commerce and comparing the emergence of the middle class in Turkey, Iran and Dubai with Calvinistic mercantilism seems a bit stretched, there is certainly some merit in it. Like the Calvinists, the middle class Muslims of the world want to have their religion and their commerce too. It is apt to be reminded that the Prophet Muhammad was a merchant himself. But not in the style of current capitalists. That is a distinction that Nasr doesn’t make. Nasr’s bigger contribution through this book is in arguing that it is time we look past fundamentalism and violence linked with Muslim societies as a framing issue and actually focus on development and related issues, if we are to gain a better understanding of these societies and what they have to contribute to the world. I concur. How the capitalist notions of dealing with societal issues meet the arguably ‘socialist’ notions of wealth distribution in Islam are of interest in our discussion here. As Tripp says “The capacity of capitalism to be reinvented in the wake of the crises to which it has inevitably been prone has been one of the distinctive features of such as system, historically confounding those in the Islamic world and beyond who have seen crisis as the harbinger of self-destruction.” (p.3). He further argues that Islamic system’s response has been to rein in the processes of exploitation and to make it authentically yet also productively part of the Islamic system, with an emphasis on building a ‘real’ economy, as opposed to a ‘speculative’ one, as on Wall Street. 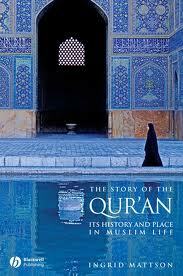 Tripp also says that the responses to capitalism have been varied, across the Muslim world, and not singular. The development of Islamic banks, mutual funds that are Shariah compliant, social investment funds and the like are examples of this new vocabulary of understanding and making sense of the capitalist economy. My attempt in my study will be to map this intersection of Islamic norms of giving and the mainstream notions of giving that are arguably influenced by capitalistic norms, as it occurs in the nonprofit sector in the American Muslim sphere. An ‘alternate economic rationality’? One of the main critiques of the capitalist system is the commodification of both money and people. As Tripp points out in his book, in Islamic thought, the dominant social imaginary is the subservience of human society to the will of God. “Service to the creator is the goal of existence, social and individual, and, insofar as the moral purpose enshrined in such service is only possible in the company of other beings, the telos of society is evident. This was the function by which society should be judged.” (p.19). How does this tally with the extreme individualism that capitalism promotes? While not central to my study, this forms the background to the kind of inquiry that I am undertaking. The notions of zakat and sadaqa (forms of charitable giving) as ‘financial worship,’ are also important to keep in mind (Benthall, 1999). Lessons to be learnt from the Islamic financial model?As Rethel (2011) has argued, the reorientation towards religious and cultural values in Muslim societies both in the ‘West’ and the ‘East’ and the rise of the Muslim middle class that has coincided with the rise in demand for Shariah compliant tools of finance can be seen as an alternative to the existing global order. She has used the lens of legitimacy to explore the extent to which the Islamic finance system offers us alternative to the existing system. Both Rethel (2011) and Tripp(2006) do seem cautiously optimistic with the prospects of Islamic finance offering an alternative to the existing system, Rethel more than Tripp. While this seems so, one might ask: what is one to make of the existing demand for the Islamic finance products, increasing market share of the industry and indeed a greater push among Muslim nations and societies for expansion of the Islamic finance markets? At the ontological level, will this change things, even as epistemically, it just seems to be replicating the logic of the Western economic system? Jane Pollard, another researcher whose work on Islamic charity in London, among the Somalis points to a strong sense of resilience and solidarity. This also complicates the understanding, in a postsecular world, of the religious practices of the Islamic Banking and Financial institutions. This system also offers us an opportunity to re-think territoriality, cosmopolitan legalities and neoliberalization. “In a world where sukuk traded in London and New York rest on English common law but are subject to the decisions of a Shari’ah scholar based in Pakistan, it might be the moment to reflect critically on how territory, embodiment and cosmopolitan legalities interest to shape different sorts of economic activity.” Pollard argues. Whether the Islamic banks and financial system will offer an alternative in the near future is perhaps a speculative question. The real one is how the entry of this system of banking and commerce impact the ‘mainstream’ system of finance. As this New York Times article points out, Islamic financial institutions are investing in the West and it seems to be business as usual. Will the vocabulary and ontological assumptions of Islamic finance shift the epistemic knowledge base of the current system is a much bigger question and one that cannot be answered here. While it may seem that Islamic finance institutions are not adding anything spectacularly new, in terms of doing business ( on a day to day basis), the biggest contribution so far that they have made is to bring ‘ethics’ into the equation. As mentioned earlier, all instruments of Islamic banks and institutions have to comply with ethical norms that are mandated by scholars and comply with Shari’ah. This means no exploitatively high interest rates, no investment in exploitative business practices etc. While these are high moral principles that may sometimes be flouted, this is the game-changing aspect that Islamic institutions bring to the table. And this is perhaps the biggest lesson that Wall Street can learn from them. Ethics can no longer be ignored. And moreover, the commodification of people and money must stop. Author Sabith KhanPosted on April 27, 2014 April 28, 2014 Categories Arab Philnathropy, ARNOVA, Charity, Christianity, Democracy, Education, Ethics, India, islam, judaismTags Dubai, Iran discourse, Islamic finance, Malaysia, Vali NasrLeave a comment on What can Wall Street learn from Islamic banks? Should we all be Cosmopolitans Now? The idea of being a ‘Cosmopolitan’ or a citizen of the world is not new and one can trace its emergence as a philosophy to the Stoics, who lived during the second and third century B.C. The most famous of them is Marcus Aurelius, whose Meditations has become a classic. The idea of not belonging to one place and embracing the universe as one is the crux of this way of thinking and one is inclined to ask: With globalization, is this the way the world is moving, and should we all be cosmopolitans now? 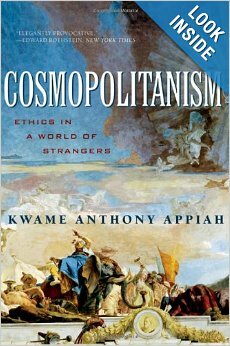 Kwame Anthony Appaiah surely thinks so, and articulates his ideas in his book Cosmopolitanism, Ethics in a World of Strangers. Cosmopolitanism has many fans, but there are critics too. The opposing forces that faces a cosmopolitan way of life are the parochial ones: Nationalism, tribalism and any identity that seeks to be all consuming and dominant. This notion aspires to a ‘cultural purity’ that is an oxymoron, Appaiah argues. “The odds are that, culturally speaking, you already live in a cosmopolitan life, enriched by literature, art, and film that come from many places and that contains influences from many more” .While this is true and a valid argument, it is also true that cosmopolitanism could end up becoming another generalizing and universalizing principle, that could potentially ignore the ‘particularisms’ as Clifford Geertz, the Anthropologist would say. These particularisms are what make us unique and in their absence, we would be devoid of any identity. The other word for this is cultural relativism and one that seeks to honor each tradition on its own terms. While Appaiah acknowledges its value, he fears that this could lead to a world that is not ‘shared’ by all. This could lead to more divisiveness than is needed, in his view. 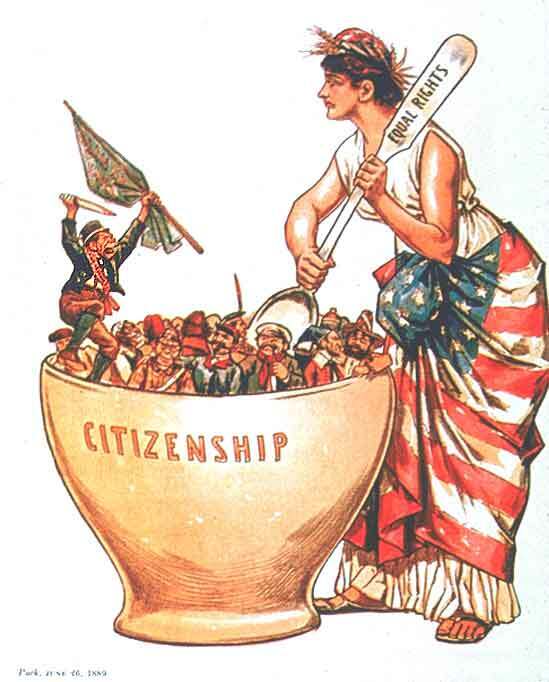 So, why is this notion of Cosmopolitanism important, one may ask? The simple answer is that because there is no other choice, at least for many, around the world, who are constantly bombarded with messages, media, ways of thinking and living that are alien to their ‘local’ traditions. Either we all cloister ourselves in our own ‘world’ and refuse to acknowledge or respect the ‘other’ whatever that may be, or we can open up our world and minds and recognize that the ‘other’s’ way of life, language, culture are valid and as human as we are. This gives life to the statement that the stoic playwright Terentius Afer made “I am human: nothing human is alien to me.” Appaiah draws out various analogies from his own life and that from history to demonstrate that cultural relativism, the belief that each one of us is so unique that we are best left undisturbed, is patently false. Further, Appaiah elaborates the tension between positivism and value laden worldviews.Positivism has its limits, he argues, because it can lead to particularism and a fixation with ‘rationality.’ What if the other person doesn’t speak in rational terms? How do we deal with this? This is where values enter, points out Appaiah and one would have to agree that values can have a universalizing spirit. Who doesn’t believe in feeding the hungry and sheltering the homeless – we may differ in the means for doing this, but most of us would agree that these are good things that we should all aspire for. “Folktales, drama, opera, novels, short stories: every human civilization has ways to reveal to us values we had not previously recognized or undermine our own commitments to values that we had settled into. Armed with these terms, fortified with a shared language of value, we can often guide one another, in the cosmopolitan spirit, to shared responses; and when we cannot agree, the understanding that shaped our responses are shaped by some of the same vocabulary can make it easier to agree to disagree.” While this call for focusing on the positives in the narratives and values is all fine and good, what happens when there are clashing narratives and values that pit one against the other? While Appaiah does offer a critique of the ‘counter-cosmopolitan’ narrative of the radicals – Al-Qaeda and other totalitarian systems such as Communism etc. it comes across as too being too essentialist. For instance, in his critique of the concept of the Ummah, or universal brotherhood of Islam, Appaiah takes into account only how the radical Muslims frame it and misuse this concept to ‘other’, while ignoring the equally powerful Ummah that a Sufi or mainstream Sunni conceptualizes. What about the notion of Vasudaiva kutumbam, among the Hindus – that translates as ‘The whole world is a family.’ This is a big weakness of his argument and it is glaringly obvious that while he builds up the war cry, he doesn’t deliver the goods in this particular regard and ends up making a generalization, that ends up in an essentialism that could potentially be seen as carelessness. As regards how to negotiate among warring factions, Appaiah, does not help us much in this regard, other than by saying that we must converse with one another. But the question still remains: What if people are not willing to even do that? What value system should one adopt? Should we all force everyone to adopt ‘universal principles’? While this seems like a plausible argument, the question still remains: who determines what is universal and why should everyone accept them as such? The differentiation between universalism and cosmopolitanism is that, in the latter, there is a recognition of differences and also the only criterion needed to be a ‘cosmopolitan’ is to recognize the other and have the ability to converse and deal with them. It does not necessarily mean that we adopt the views of the other, as a Universalist would demand. This difference is crucial and one that makes all the difference between ‘cultural hegemony’ and ‘respectful cultural dialogue’. The biggest counter force to this sort of ecumenical thinking comes from ideologies such as nationalism that seek to set boundaries, both real and imagined. While these are often based on linguistic, nationalistic and other imaginaries, that are a product of historical and economic or imperialistic forces, their manifestation is real. How can one deny that American exceptionalism is not real? Or for that matter that the way Canada defines itself is in some way in opposition to what America is not. This tendency to ‘other’ those who don’t belong is part of our psyche and is deeply ingrained. 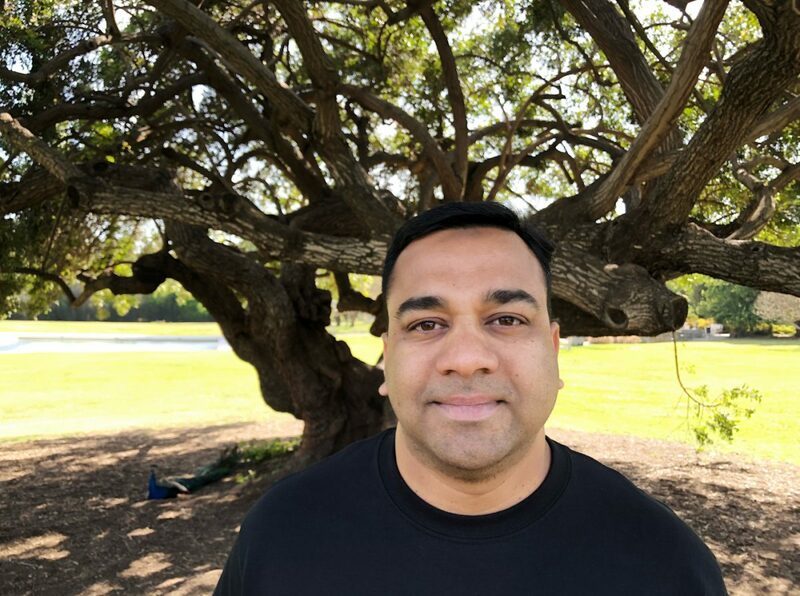 Appaiah acknowledges that we began as small tribes, living in hunter-gathering type communities and this has shaped the way we think and feel about those who belong and those who don’t. There are some problems with Cosmopolitanism too, including the very foundational one: Who can afford to be one? Can all of us be cosmpolitans? The simple answer seems to be: No. Being a cosmopolitan requires time, effort, money and not to mention access to certain levels of societal resources that are unfortunately not available to all. While we may be exposed to cultures, languages and food from other countries at a superficial level, to be a true embedded cosmopolitan requires traveling to those places, interacting with people who are not like us and living their lives, from their perspectives. This, I would argue is an expensive proposition. Especially if one is not lucky to live in a heterogeneous society. As Gramsci would say, cultural notions are unfortunately defined by the ruling classes and in this sense, the bottom rung of any society can only aspire to be cosmopolitan, in practical terms. This is a practical constraint that I see for this way of thinking and living. But despite this, cosmopolitanism is a compelling and enticing way of thinking and living, one that can make us bigger people, than we are, already. Author Sabith KhanPosted on March 1, 2014 March 2, 2014 Categories Democracy, Education, Ethics, judaism, mediaTags Art, Cosmpolitanism, ethical consumerism, Nationalism, Private Property, Strangers, TribalismLeave a comment on Should we all be Cosmopolitans Now? Is Philanthropy losing its ‘meaning’? There are various conceptions of philanthropy in American society. While some view philanthropy as a religious obligation, giving their time, treasure and talent to the Church or religious institution, others view it as a ‘social relation’, one that binds people to one another says Paul Schervish, in his paper Philanthropy as a Social Relation. Increasingly, this aspect of philanthropy is giving way to giving to organizations, anonymous funds and institutions that ‘manage’ our money for the ‘best possible’ social outcome. Is this leading to a de-personalization of charity and are the ‘meaning’ and ‘values’ of giving being lost? 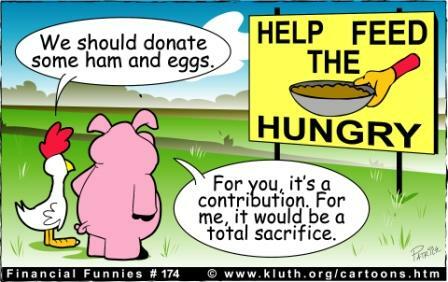 Are we witnessing more ‘consumption philanthropy’ and other forms of philanthropy, which is antithetical to how most religious and cultural traditions conceptualize them? Is this problematic or is it a natural part of the evolution of the field itself? This is particularly important for my study, as I am looking at the role that faith-based organizations play, as mediators of the discourses of giving, in a context, not of their own making. As Schervish further argues, the key relation in philanthropy that needs to be understood is one that of the donor and recipient. This can lead to a better match between resources and needs of donors, he says. But how does one negotiate this relationship when an organization mediates as a go-in-between the donor and recipient? This and related concerns are some of the newer challenges that have cropped up with the growth of organized ‘philanthropy’. Still others conceptualize philanthropy as not necessarily positive, but rather as a remnant of colonial mindset, that seeks to ‘dominate’ the weak and oppressed, in the guise of helping them ( Wagner, 2001). In this conceptualization, philanthropy is oppressive and takes on a hegemonic role, something not very pleasant for the donor or recipient. These competing conceptions of philanthropy are interesting in and of themselves and lend themselves to analysis. But my interest in them derives from how they are being articulated in various forms in contemporary society. Focus on values or metrics? While much of scholarly work and research is focused on donors and how to attract them, show them that their money is bearing fruit. But what about the recipients? How do we ensure that their dignity is protected and they are also recognized for proper use of the money, given to them. The recipients could be individuals, organizations or foundations. Peter Frumkin, Professor at University of Pennsylvania on the other hand argues that it is possible to merge the scientific with the aesthetic or related dimensions of giving. He draws a distinction between the ‘art’ of giving and the ‘science’ of it. In his book Strategic Giving, Frumkin concludes with how the art of philanthropy allows donors to express their private values and convictions while the science of philanthropy pushes the field toward greater levels of instrumental effectiveness. As he says in his book : “One of the main arguments of this book is that often philanthropy works best and strategy is most compelling when the donor brings its value set and assumptions to bear on the process of setting forth a philanthropic direction. Without this critical differentiating ingredient, giving can never reach its true potential. When individuals draw upon their life experience and their reservoir of commitment and caring, however philanthropy can take on problems that government and community stakeholders may not yet recognize or prioritize.” While this does mean that philanthropy can become very ‘personalized’ and extremely undemocratic, it also means that once there is a personal stake in an issue, the donor will invest more of his/her time into it. This could also lead to a related criticism of philanthropy that it makes giving very undemocratic and unequal. Donor advised funds, Giving Circles, Philanthrocapitalism – these are some of the ‘newer’ versions of how philanthropy is being conceptualized and marketed. For the uninitiated, these are various ways that money is pooled and then used for ‘common good’. While financially, these may be smart and ‘efficient’ ways to conduct philanthropy, there is also a fear that the core of philanthropy is being lost here. I would argue that the ‘values’ part of philanthropy is being increasingly side-stepped and this is not a good trend. While making this normative claim, I realize that there is a greater need for accountability that has become the norm in this field of study and practice. As Frumkin clarifies: “These five constitute the “philanthropic prism,” and are aimed at moving the field of philanthropy towards a more strategic approach. By thinking through how best to present donors with giving opportunities, that connect to the core of their strategic concerns, nonprofits can improve the quality and sophistication of their grant making appeals.” While insightful and well-articulated, the question is, how many High net worth donors or even small donors think of these factors? Will they stop their ego from getting in their way, as they plan their donations? What about external pressures to give that may contradict their values? All of these questions come up as one examines this advise. Finally, as Schervish and Ostrander point out, the claims that philanthropy makes towards people are normative and not coercive, or transactional. A politician may stand for election and promise certain changes or reforms, in exchange for your vote and this makes it a purely transactional exercise, while a nonprofit leader cannot do the same, they add. This makes the sector unique in a sense of being both bound by certain norms and also free from the sort of ‘effective’ results that it is supposed to generate. The results that philanthropy generates are ‘affective’ instead of ‘effective’ they add. This may be hard claim to sustain, in a tough economy and constricted budgets. While the ‘values’ and ‘science’ could be a false dichotomy, and one that we can overcome, with some thoughtful planning and care, it is imperative that neither dimension is ignored. Being conscious of both aspects of philanthropy may well be critical for keeping the sector relevant and vibrant. Author Sabith KhanPosted on February 20, 2014 Categories ARNOVA, Charity, Christianity, Democracy, Education, islam, judaism, media, modernity, Public Administration, Public Policy, ReligionTags affective, Donor advised funds, evaluations, Faith-based organizations, Giving, Lilly School of Philanthropy, Measurement, organizations, peter frumkin, philanthrocapitalism, values1 Comment on Is Philanthropy losing its ‘meaning’? Author Sabith KhanPosted on February 16, 2014 Categories Charity, Christianity, Democracy, Education, islam, judaism, media, Middle East, modernity, Public Administration, Public Policy, USATags Coca Cola, Daniel patrick Moynihan, Diversity, Ethnicity, Maxwell School of Syracuse University, Melting pot, Robert Bellah, robert wuthnow, SociologyLeave a comment on Beyond the Melting Pot?